Biste Technologies now offers Snow Biste ski simulators made in the US for sale. Use our business model and start your own Learning Center or Small Business. Support the needs of your local ski community with your training facility our Methodology and support. Now you can offer one on one personalized real-time coaching, refine the skills of a race team or develop your own personal skills using a tool that accelerate your learning carves 5X faster than snow alone. 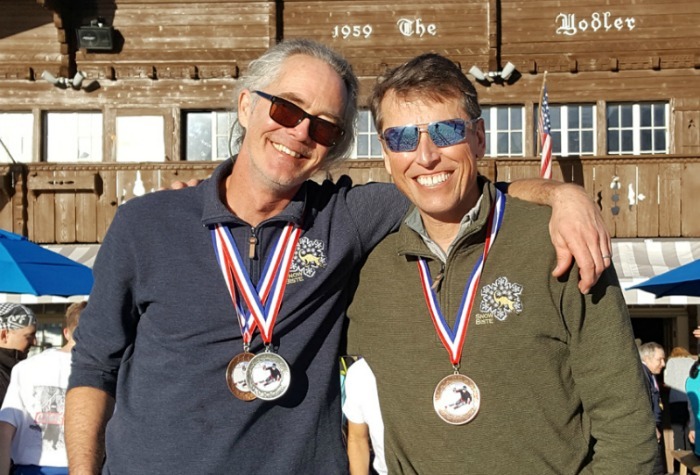 Kris Buttenberg USSA Masters racer, coach and local business owner, ‘The Snow Biste simulator and Methodology is the fastest, most effective way to change old bad habits in skiing and replace with new proper functional movements that make you a better skier’. Snow Biste Simulators can vary in size and feature to meet your specific winter sport needs and budget. Our simulators can be used to train Alpine, Nordic and Snowboarding!!! Operating costs are very low enabling you to change the lives of many. Let’s design one for YOU! Call 775.741-9474 to get started. June 1st – Sept 14th 2019! Ski specific training that works the fundamentals of balance, strength and functional movement in a FUN outdoor environment. This program helps you to remain active and competitive with ski skills during the summer without the prohibitive cost of glacier training. Program is outside during the summer months June 1-Sept 14, 2019 in a beautiful and safe environment. Sign up and bring your friends to get better 5X faster during our beautiful Nevada summer. friends for next year’s ski adventures? Come as a ski team and we’ll work directly with your coaches to help create a fun and exciting summer long event. The Snow Biste and summer facility is operated by the Biste staff in conjunction with your team. Participants are grouped and moved through several fitness training stations in conjunction with ski simulation coaching on the Snow Biste. 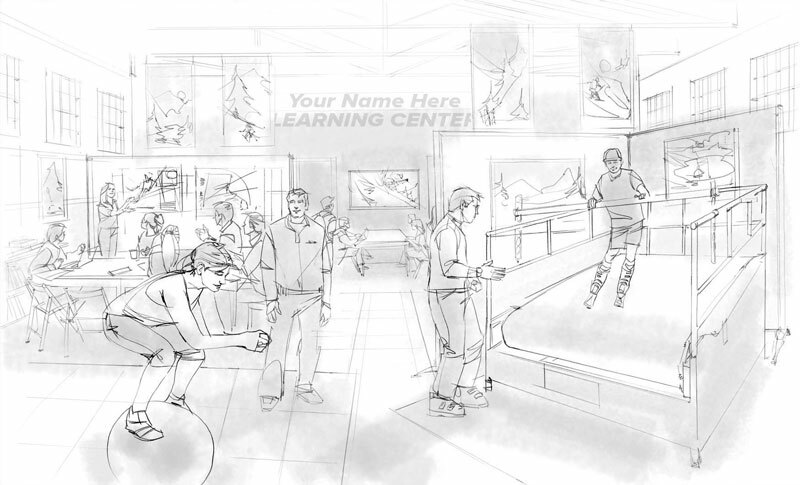 There are non-simulator training areas for inline skating, agility training, strength, technical/tactical discussions, boot fitting, tuning etc. New client pricing is $700 for the full summer and Team pricing is $600 for this 15-week summer coaching experience. Teams of 6 or more will be given consistent schedules so group scheduling is easier. for questions and to schedule your time slots. Congratulations Ryan Herhusky for winning the 2019 Name that Drill Contest. Ryan, pictured left and in course, is a U16 from Sugar Bowl Academy. 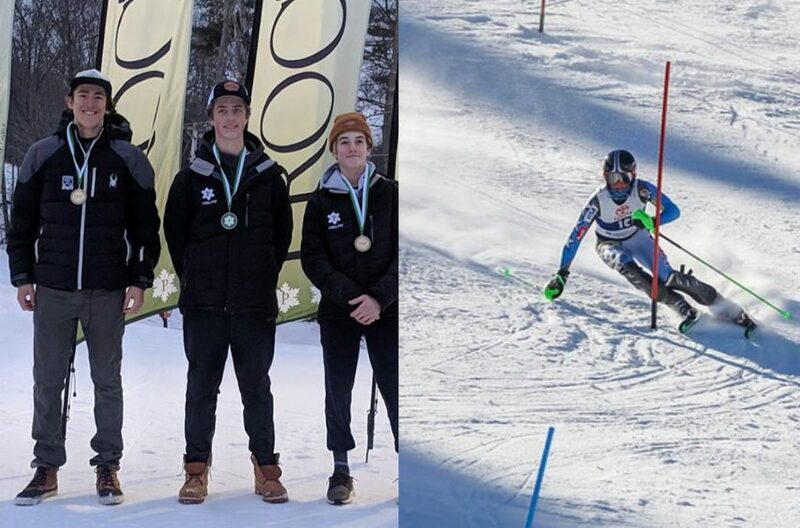 He earned the right to name a drill through a 2nd place podium finish in Slalom. The race was at Proctor Ski Area in NH December 31, 2018. Ryan came to the Snow Biste during the summer training sessions, and since has had the best season of his race career with several podiums and top tens. Ryan is the second Biste student to have a Method drill named after him, following Tea Kiesel a U16 who won the contest in 2018. 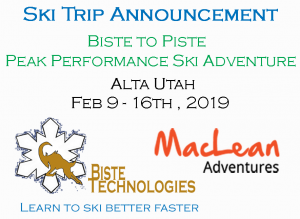 To win you need to be the first Snow Biste student to earn a podium finish during the season. Congratulations Ryan Herhusky for all your hard work and dedication to the sport!